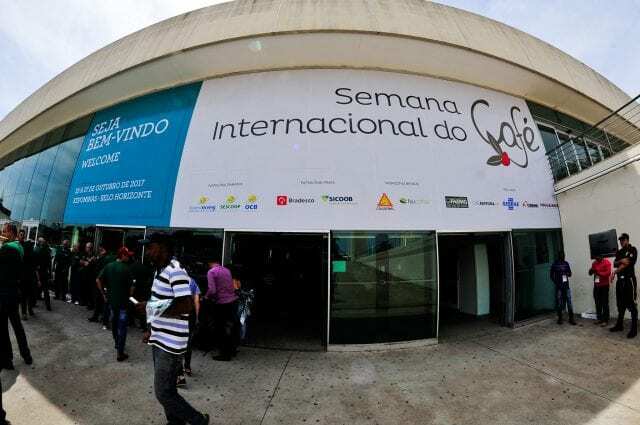 International Coffee Week Brazil (ICW): a three-day coffee festival in the world’s biggest coffee-producing country (by volume), bringing together the country’s best beans and professionals from around the globe. 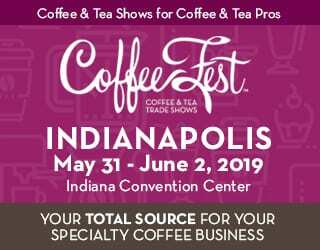 Attendees can discuss the latest industry trends, sign business deals, cup specialty Brazilian coffees, attend training sessions, take part in competitions, and more. Who Attended International Coffee Week 2017? Coffee farmers came from all over Brazil: the Amazon, Cerrado Mineiro, Caparaó, Matas de Minas, Bahia, South of Minas, Mogiana, and more. But not only were the coffee producers present; their coffees were too, ready for sampling on the cupping table. 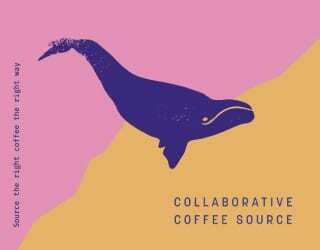 Like unusual coffees? The producers at Sitio Santa Rita, Caparaó, brought a coffee named “Fruit Salad” for its Brazilian fruit notes: caju, banana, mango, and passion fruit. 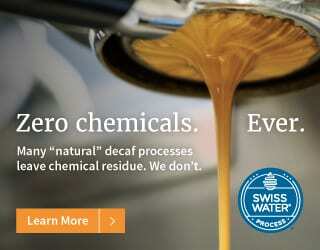 How about fermented coffees? The producers behind Guima Coffee experimented with using cachaça, the same product used in caipirinha, during processing. Strolling round the event, there were numerous roaster manufacturers demonstrating their products. 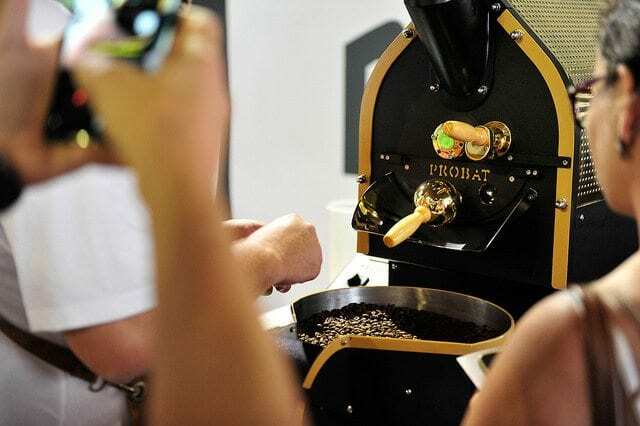 Probat Leogap exhibited both roasters and lab equipment. Another brand worth mentioning is Carmomaq, a Brazilian company. They modelled their roasters’ control panels, demonstrating how they provided repeatability, precision, and control over the roast development. Wolff Café, Unique, Bike Café, Jurerê, Café Jequitibá, and more were in attendance, serving up delicious coffee and making new business connections. 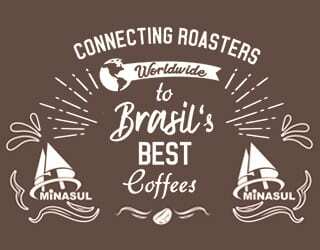 Coffee shop owner, lab owner, or roaster, International Coffee Week Brazil catered for your needs. 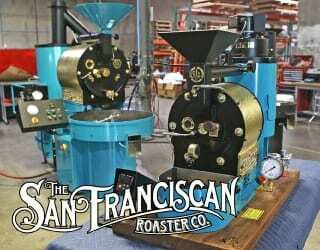 Roasting machines, filters, grinders, and more were present. Academia do Café sold various brewing devices, including the Chemex, Clever, and Hario product range. BUNN and Brew products were available. Aram Coffee showcased their award-winning handheld espresso maker, capable of producing crema without electricity. 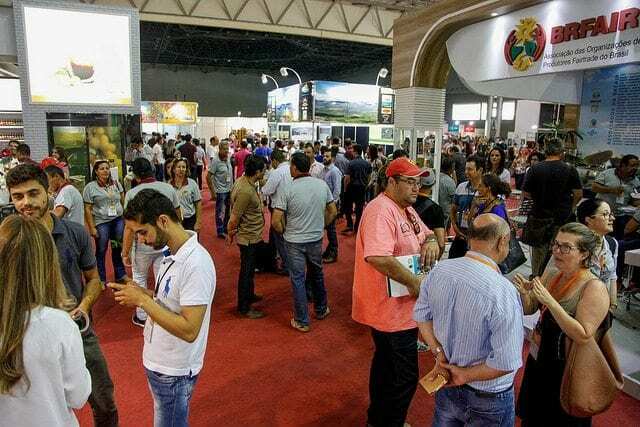 Green coffee traders both exhibited their wares and attended as guests, keen to sample Brazilian specialty coffees and sign contracts with producers and exporters. 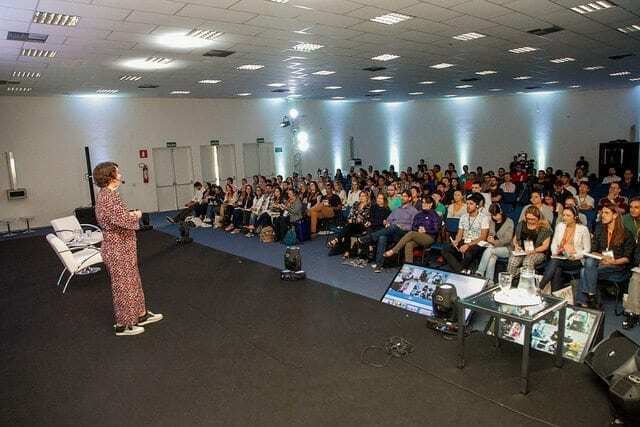 Seminars, workshops, and courses were held on topics that reached across the whole supply chain: sustainability, exports, coffee marketing and presentation, roasting, coffee shop operations, Fairtrade, and more. 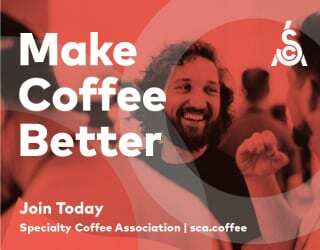 The Specialty Coffee Association (SCA) held courses including Barista Skills and Authorized SCA Trainers. Fermentation and sustainability dominated the Producers’ Meeting in the Sustainable Agriculture Forum. 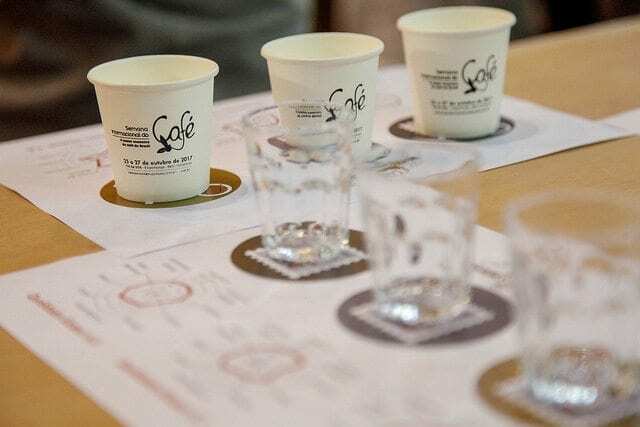 The Coffee DNA Symposium featured roundtable discussions over the future of coffee. 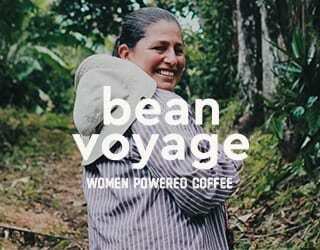 The International Women’s Coffee Alliance (IWCA) Brazil Chapter looked at how we can further empower women in coffee. Then there was Re:verb Brazil: this focused on roasting and included well-reputed (and often female) voices, such as Joanna Alm of Drop Coffee Roasters, Talor Browne of Talor&Jørgen, Anne Lunell of Koppi, Emilio Lopez Diaz of Cuatro M Cafés, and Isabela Raposeiras of Coffee Lab. 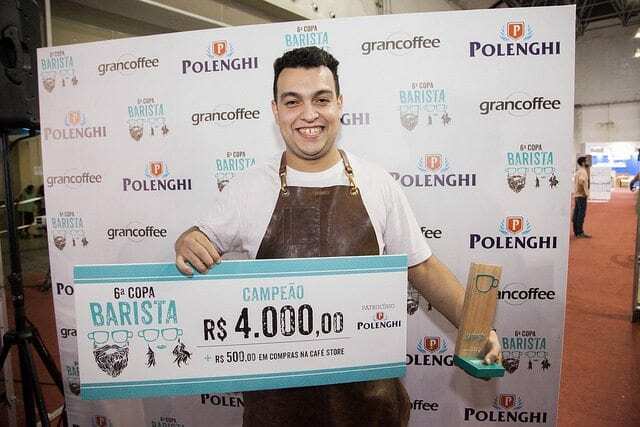 In a country almost as big as Europe, the opportunity to be crowned the Copa Barista Champion is a serious honour. 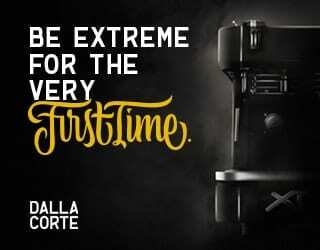 32 baristas competed in front of an audience, preparing espressos, cappuccinos, and brewed coffees. Brazil’s new champion? Hugo Silva from IL São Paulo. Ton Rodrigues, also from São Paulo, and Ivan Hayden from Belo Horizonte placed second and third respectively. It’s not only the baristas who were competing: producers were too. And for the first time ever, a female producer took home the prize. 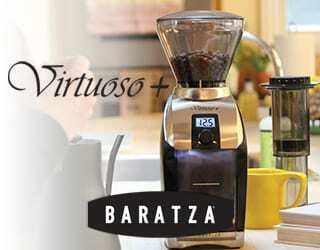 Sandra Lelis da Silva from Araponga in the Matas de Minas region won in the Arabica category. In the Robusta category, the Dutra brothers of Manhuaçu, also in the Matas de Minas region, won. 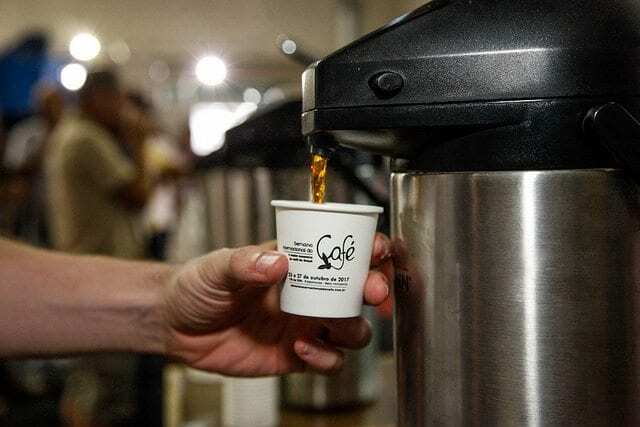 What Does The Future Hold for Brazil’s Coffee Industry? There’s no denying that Brazil has a particular reputation. 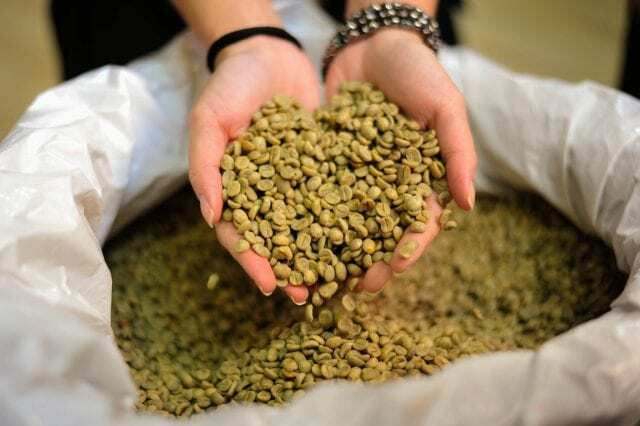 Despite the diverse range of specialty coffees being produced in this country, many roasters still associate Brazilian beans with blends or even commodity coffee. 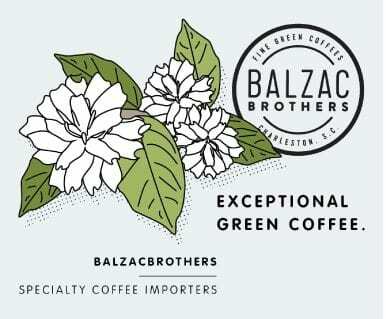 As a country, Brazil needs to show that it is capable of producing high-quality, unique coffees – and that’s something this event is actively doing. 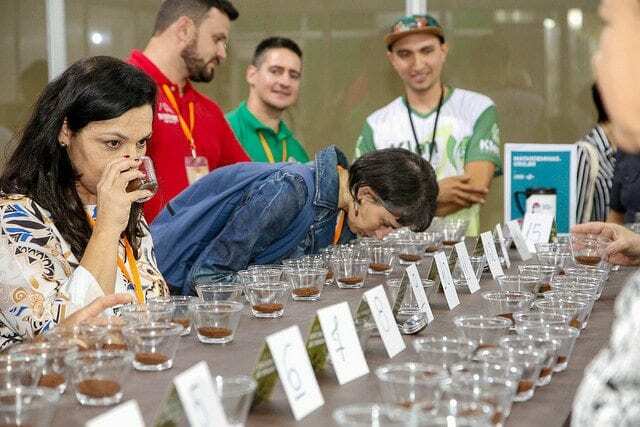 For buyers, roasters, and consumers, cuppings of coffees from across Brazil demonstrated the country’s variety – both in terms of terroir and green beans, and in terms of processing and production methods. And for producers, there was information and support on improving production and processing methods. 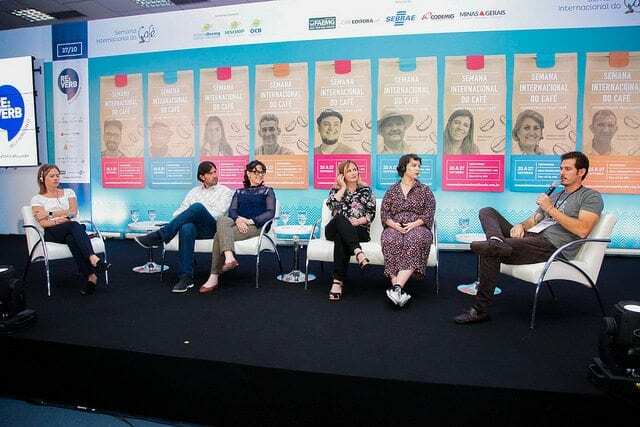 The Brazil Specialty Coffee Association (BSCA), Federation of Agriculture of the State of Minas Gerais (FAEMG), and more, exhibited at the event. What’s more, the Producers’ Meeting focused on quality and sustainability, especially on the topic of fermentation. Brazil has always been famous for its naturals and pulped naturals – a technique it pioneered. 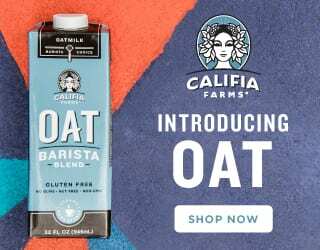 Experimentation with fermentation and various pulped natural methods is becoming more and more common. Brazil’s climate is well-suited to these methods and producers are hungry to improve their coffees through carefully controlled processing. 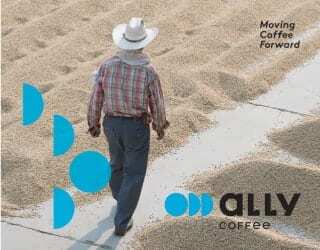 Traceability is becoming a key concern and certifications are more common. 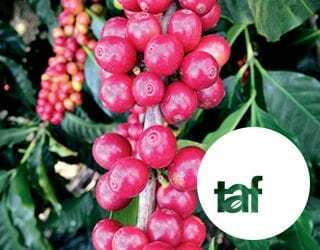 The future of Brazil’s coffee industry? 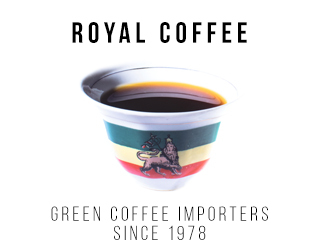 High-quality, specialty coffees with unique flavour profiles.